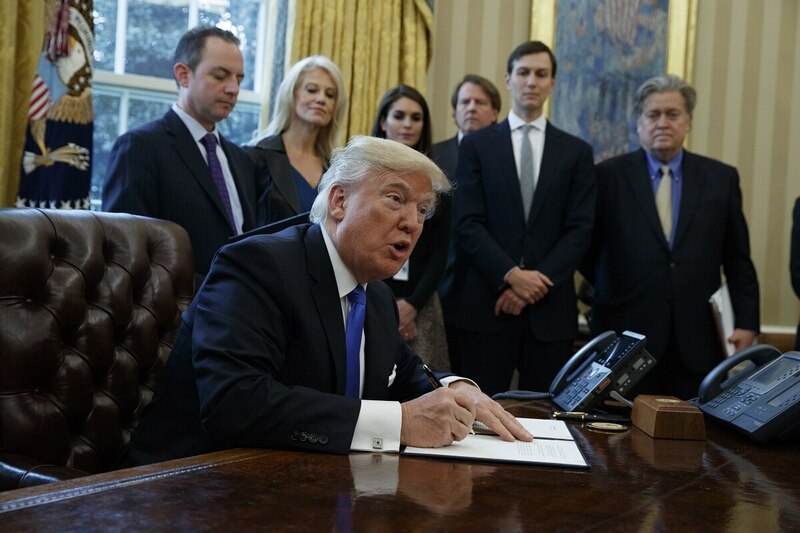 Members of President Donald Trump’s own party called out recent executive orders targeting federal employee unions, due process and official time use as an attempt to undermine existing law. The executive orders, signed May 25, make it easier for agencies to fire federal employees under investigation for misconduct while calling for the renegotiation of agency contracts with employee unions. They also limit the use of official time, which allows federal employees to conduct union activities such as representing employees in disputes and negotiating contracts with the agency, to no more than 25 percent of an employees work time. “We are concerned that the recent executive orders embark on a path that will undo many of the long-standing principles protected by law, which establish checks and balances not only in the federal workplace but for the American public,” wrote 21 Republican members of the House in a letter to the president. The representatives’ open opposition to the executive orders is significant, as House Democrats have already expressed strong opposition to the infringement on the collective bargaining and official time use of federal employees. The new letter marks a solid bipartisan opposition to the new executive orders. Many of the letter’s signers represent federal employee-dense districts and face reelection in November 2018. “As members representing a significant number of hard-working federal employees and retirees, we urge you to uphold the current law and long-standing federal labor statutes that protect America’s civil service from discrimination, unfair treatment and sexual harassment,” the representatives wrote. The legality of the executive orders has already been challenged in court by federal employee unions, and the letter’s assertion that the orders undermine labor laws provides support for that case. On June 14, a group of 23 Democratic senators also sent a letter to the president calling for him to rescind the executive orders and adding that they erode whistleblower protections and increase the likelihood of politically-motivated firings.